Capt. 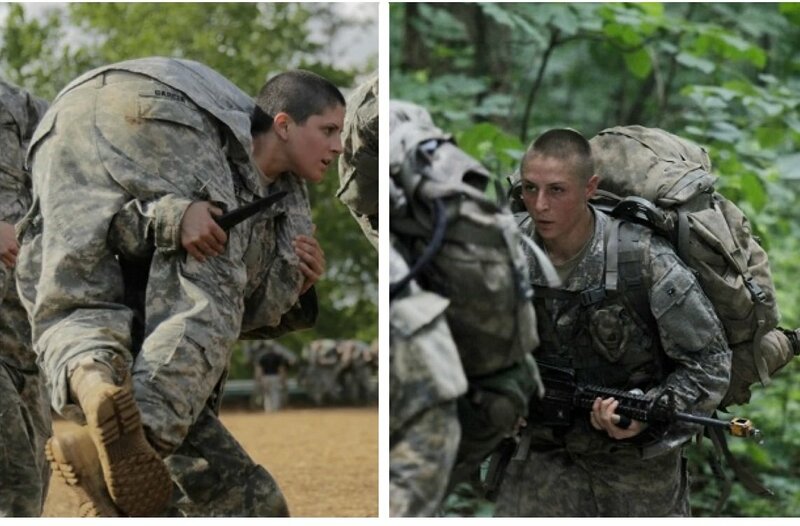 Kristen Griest (left) and 1st Lt. Shaye Haver (right) will become the first female soldiers ever to graduate from Ranger School on Friday, Aug. 21, 2015. For the first time in military history, two women will graduate from the excruciating 62-day Ranger School at Fort Benning. Ranger candidates arrive for training in the best shape of their lives and survive on a meal a day and just a few hours of sleep — all the while completing some of the toughest military training in the world. army rangersUS Army PhotoArmy Ranger candidates prepare for an airborne operation during the Ranger Course on Fort Benning, Georgia. “Ranger School is a gut check,” Jack Murphy, a Special Operations 75th Ranger Regiment veteran and managing editor of the military-focused publication SOFREP told Business Insider. On April 20, West Point graduates Griest and Haver entered into the first gender-integrated Ranger School, alongside 380 men and 18 other female candidates. Griest, a military police officer from Connecticut and Haver, an Apache helicopter pilot from Texas, completed the full Ranger course in four months. 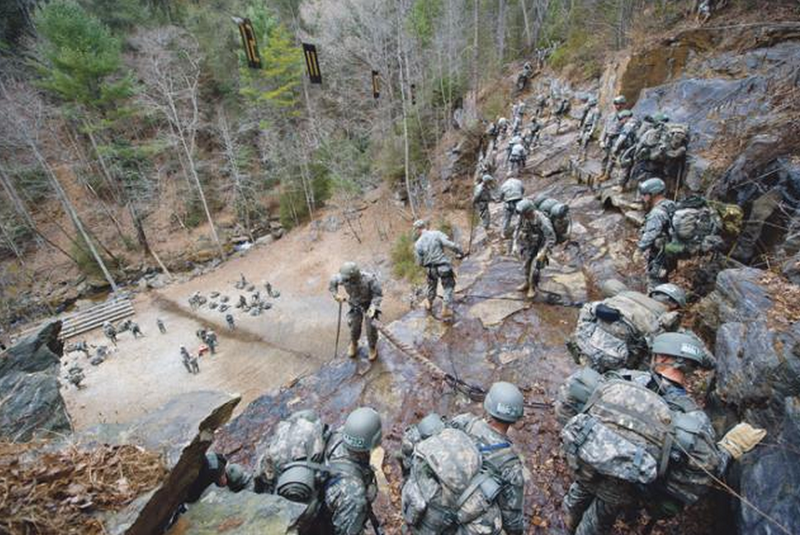 Army Ranger candidates complete an exercise during the first phase of training. 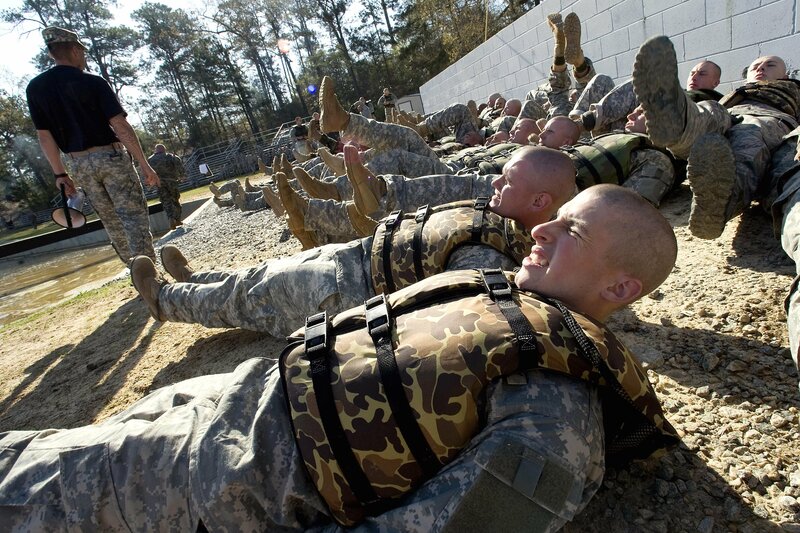 During the Benning phase of Ranger School, which takes place in Georgia, a soldier’s physical stamina, mental toughness, and tactical skills are evaluated and fine-tuned. 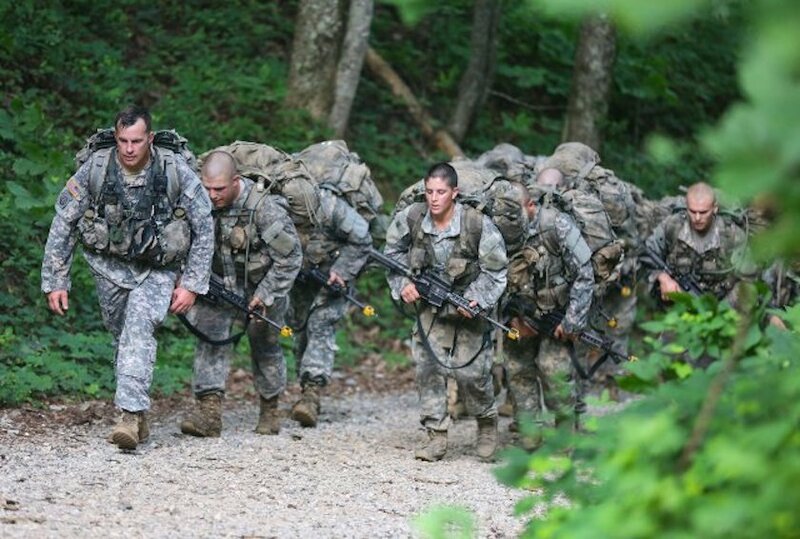 On the last day of the Benning phase, Ranger candidates conduct an ardudous 12-mile march while carrying a 35-pound ruck sack — and without the luxury of drinking water. 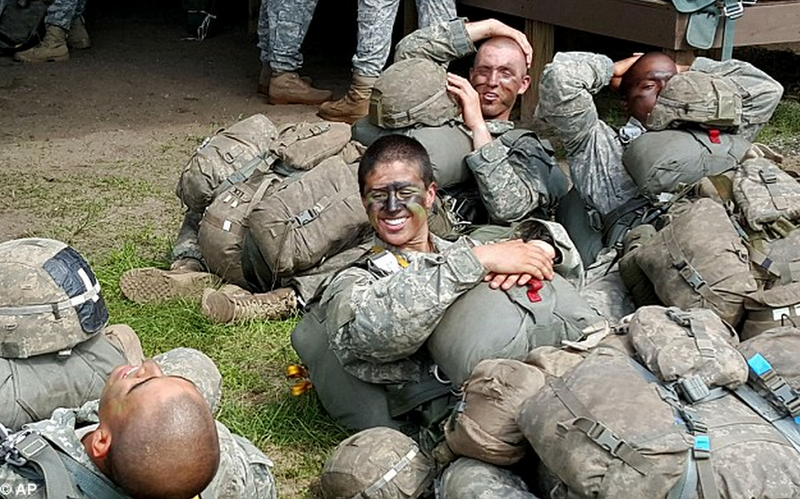 About 50% of students will pass this phase of the course, according to the Ranger School website. During the appropriately named mountain phase, Ranger students are sent to the northern Georgia mountains to continue to learn how to sustain themselves in adverse conditions. “The rugged terrain, severe weather, hunger, mental and physical fatigue, and the emotional stress that the student encounters afford him the opportunity to gauge his own capabilities and limitations as well as that of his peers,” according to the US Army. The last phase consists of fast-paced field-training exercises in which candidates are evaluated based on their execution of high-stress raids, ambushes, and close-combat attacks. All students must pass an intense physical fitness test that includes 49 pushups, 59 situps, a 5-mile run with a 40 minute time limit, six chin-ups, a timed swim test, a land-navigation test, several obstacle courses, three parachute jumps, four air assaults on helicopters, and 27 days of mock combat patrols. Unlike their male Army Ranger counterparts, both women will not be able to apply to the 75th Ranger Regiment, the premier tier of Army special operations with its own unique set of physical requirements. The Pentagon is scheduled to make a decision on which combat roles will be opened up to women later this year, CNN reports.